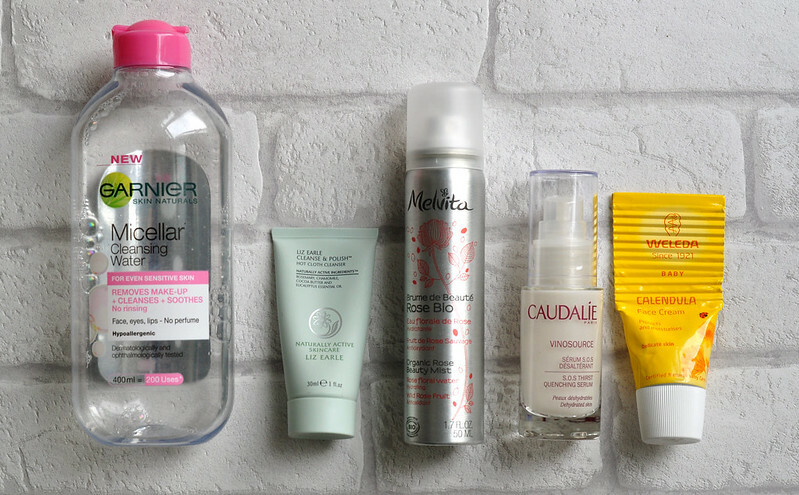 Garnier Micellar Water // Liz Earle Cleanse & Polish Hot Cloth Cleanser // Melvita Organic Rose Beauty Mist // Caudalie Vinosource SOS Thirst Quenching Serum // Weleda Calendula Face Cream. This month my skin has been acting up with breakouts and allergic reactions so I simplified my skin care routine down to only these products and nothing else. I didn't try anything new and used products I know my skin gets on well with. So far it seems to be working well and my skin has calmed down a lot. Towards the end of the month I did run out of the Liz Earle cleanser so have started to use the Emma Hardie Cleansing Balm. The switch hasn't irritated my skin so far and I'm enjoying using the EH balm again. Have you tried the Bioderma cleanser? I find that is always really good for my skin.